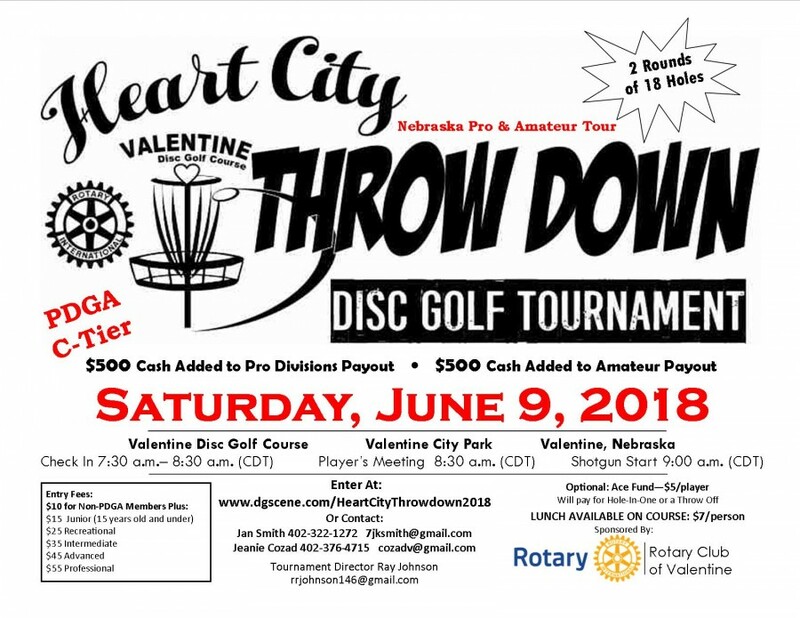 The Heart City Throwdown Disc Golf Tournament is a stop on the 2018 Nebraska Pro & Amateur Tour. There will be 2 rounds of 18 holes. Check-in is from 7:30-8:30 a.m. followed by the Player's Meeting at 8:30 a.m. and then Shotgun Start at 9:00 a.m. Second round will take place an hour after the final card from Round One is turned in. All times are in Central Daylight Time. 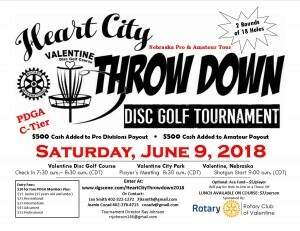 Valentine Rotary Club is responsible for all refunds/cancelations.